By now, most local netizens know of Singapore's favourite ah lian, whose real name is Lerine Yeo. The 30-year-old propelled herself to viral fame with her hilarious and entertaining live-stream videos of her modelling clothes for her online apparel store. The video that started it all was uploaded by Facebook user Joanne Ng on Sep 20 and has since garnered over two million views. Her passionate demonstration on how a black 'hook' t-shirt can be more than just a piece of clothing won the praise of viewers. I cannot stop laughing! 😂 She’s so funny! Her serious look makes it funnier! She creatively shared how you can make the holes in the $9 top functional by "hoot"-ing your umbrella, wanton mee, cane, EZ-Link and a myriad of other items. 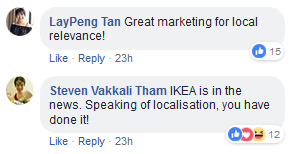 Not one to miss a marketing opportunity, furniture store Ikea Singapore posted an ad selling their KUNGSFORS S-hooks (five pieces for $3.90) and referencing Lerine's video. The ad, which includes a disclaimer that the T-shirt is not included, was posted on Friday (Sep 28) at 12.35pm with the caption: "For you to 'hoot' anything you like." One Facebook user said Lerene should get royalties for every S hook they sell. 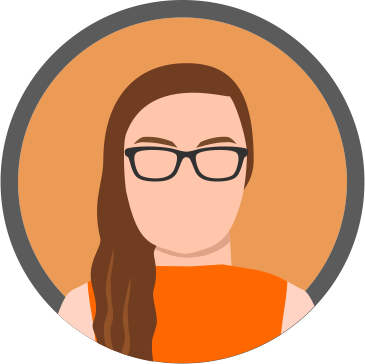 Check out Stomp's exclusive interview with Lerene on how she is handling her sudden fame and the inspiration behind her unique marketing skills below.